The Chancellor of the Exchequer, George Osborne, spoke at the Chatham House event “Challenges for the Global Economy” on Friday morning. 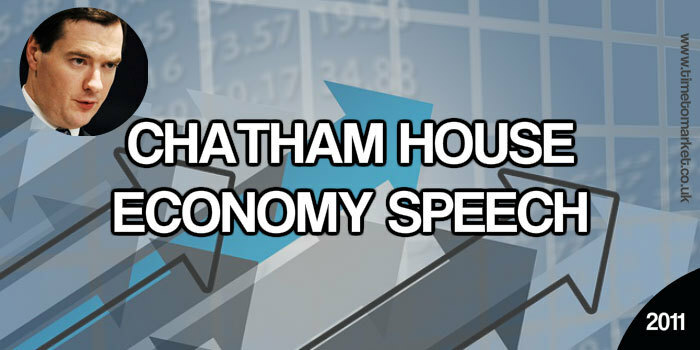 So how did he do with his Chatham House economy speech? His speech started in a halting and hesitant fashion. He ummed and erred as he thanked the new Managing Director of the International Monetary Fund, Christine Lagarde for her participation. And, of course a Christine Lagarde speech is quite a coup as well for Chatham House. The style of his Chatham House economy speech was subdued…sombre even. Perhaps he was anticipating further economic uncertainties. Perhaps the G7 Marseilles meeting or even the looming report by the Independent Commission on Banking, led by Sir John Vickers. Whatever the cause, the Chancellor barely took his eyes from his printed script as he read his economy speech to the invited audience. Much of his content was good. But it was his delivery that lacked style. Those meetings need to produce a coordinated plan of action that helps us navigate through the economic turbulence we are all experiencing. Britain will stick to the deficit plan we’ve set out. It’s the rock of stability on which our recovery is built. Because this isn’t the first George Osborne speech to contain the familiar metaphors for the economy. To repeat the sporting analogy I used on Tuesday…in 2008 the world had to act like a tug of war team, all pulling in the same direction. Today, we need to be like a football team—with everyone’s role suited to their positions and abilities if the team is to be successful. Did he play football at St Paul’s? Because, I thought it was a rugger school? Any way, it was a good combination of contrasting sports analogies. It all began with the UN. But, now it’s practically impossible to listen to a politician’s speech without hearing the word, sustainable. I know it’s all terribly serious, but I still sense flannel. Growth is growth. 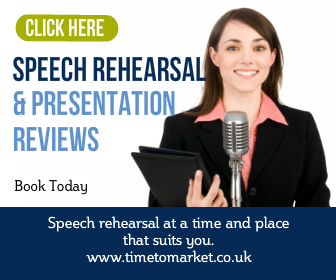 You can always discover top tips for your own public speaking with our regular series of tips for speakers. 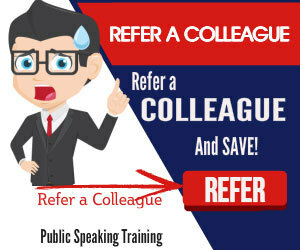 And, when you are ready to invest in your own speaking skills then you can always join a public speaking course or organise a one-to-one coaching session. So, when the time is right, please don’t hesitate to get in touch.